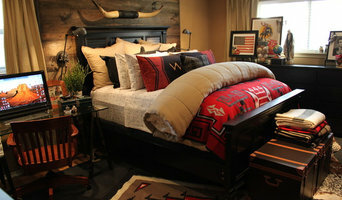 I’m an interior designer turned blogger, photographer, and stylist based in Dallas/Fort Worth. Inspired by the many unique ways in which other creatives adorn themselves and their homes, I created Our Style Stories, a blog focused on exploring the connection between style and story through profiles of people with distinct points of view, unique personal style, creative pursuits, and ample heart. 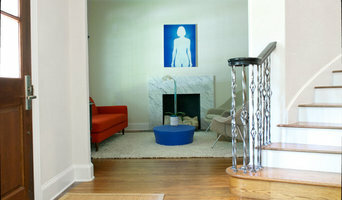 Find more of my home tours, fashion profiles, and podcast interviews at www.ourstylestories.com. 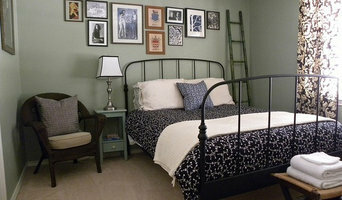 Freelance writer, artist, photographer, actor, home tour contributor for Houzz, and author of the blog, La Maison Boheme. Greenman lives in Eastern Oregon. She loves eclectic, boho style but also has a soft spot for Midcentury modern and Swedish design. Learn more at <a rel="nofollow" target="_blank" href="http://www.sarahgreenman.com">http://www.sarahgreenman.com</a>. Art Director, Stylist, Part-time Carpenter, Painter, Electrician (if it's minor work & in my own house), and full-time Blogger documenting all of the above. Curva-Lish Style is apart of a lifestyle brand that is an Independent Ambassador with India Hicks. 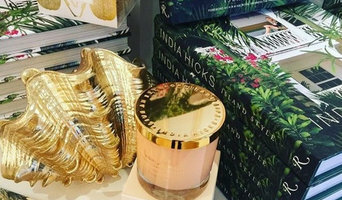 India Hicks is a London-Harbour Island inspired brand that offers accessible luxury for interior spaces including candles, bath, Beauty, carry-alls, tassels and more. It's quality that adds the perfect finishing touch to your interior spaces. Curva-Lish Style also focuses on coffee table books published by Rizzoli at discounted rates for bulk purchases including interior projects, supply chain fulfilment (hotels, boutiques, etc). 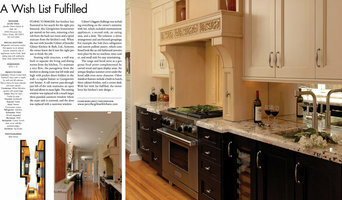 Signature Kitchens & Baths is a consumer-enthusiast design publication dedicated to providing affluent homeowners and savvy professionals with inspirational ideas for their kitchen and bath spaces. The team at Design Marketers specializes in Houzz Marketing Services, helping Professionals increase their online presence to grow their business! We are Houzz Certified Marketing Consultants, providing online marketing for Architects, Builders, General Contractors, Interior Designers, Remodelers, and other Houzz professionals. In addition to Houzz Marketing Services, we are certified in Digital Marketing, Social Media Marketing, and Location-Based Strategies. With more than 10 years experience in website design, SEO, keyword research, social media, and online marketing, Design Marketers can help your business stand out! Our clients have received numerous Profile Badges, increased online visibility, and gained new customers! Ready to partner with us? Contact us to get started! Virtual offices in Florida and Texas, serving clients nationwide. Grills Forever is the website where these two philosophies come together. Alex Coleman is the artist behind Grills Forever, and Dan Morrison is the scientist. Alex and Dan couldn’t be more different in their backgrounds, philosophies, and grilling techniques. But they are in perfect harmony when it comes to the pursuit of creating the finest grilled and smoked meats. It is a shared passion approached from different angles. By visiting Grills Forever, you get the benefits of both. I have a lifestyle blog that includes all of my loves like my passion for great design, fabulous fashion and of course my happy little family. Parker Hallam is a leading figure within the oil and gas industries. He is currently serving as Chief of Operations at Arkfield Services. Brian Ladin is a premier business consultant who has offered services in regards to entrepreneurship and investment banking. We are a group of specialists settling each one of the issues of Canon Printer and giving the best help and online support for Canon printer. Likewise, architecture blogs and architectural magazines provide information on what's new in the Dallas home design world. These can be the ideal place to find resources and investigate your interests further before you begin work on your own home. Whether they provide an in-depth look at a new development in the world of design, research on the best Dallas, TX vendors and resources for purchasing home furnishings, step-by-step instructions for completing a home improvement project successfully from start to finish, or inspiring images and thoughts on styles and trends in the home, blogs and other media provide endless resources for people interested in home design. Here are some related professionals and vendors to complement the work of media & bloggers: Photographers, Interior Designers & Decorators, Architects.